Magic and manifestation are one and the same. In magic, the goal is to manifest your desires. When you are following the Law of Attraction, doing manifestation work IS a bit of magic. If you think about it, “magic” is basically the Law of Attraction going WAY back… as far back as written history, at least. There are several key elements to manifestation, as well as magic, and they don’t differ all that much. Working magic, and manifesting, is like working out; the more you do it, the better and stronger you become. Once you develop "muscle memory" the steps will begin to flow into the next, and things may manifest more quickly. Until that happens, it is worth it to use the step-by-step guide as listed below. Of course, previous to the steps, you must set your desire. What is it that you want to manifest? You can say it aloud or write it out… some say to write it out so many times over so many days. You can do that, it would for sure set the intention, but in my experience, the main thing is that you STATE YOUR DESIRE AS FACT, in clear detail, and in positive terms. See what it is you desire. Create a visual picture of it in your mind. Is it more money? Then see your bank account showing the amount you desire, or a check made out to you for that amount. Some actually do write that check and keep it in their wallet as a reminder. Is it more clients? See your schedule full for a whole year, with a waiting list! It is important that you can see what your goal is, so you know what you are going after. You want to be as clear as possible so there is as little room for error as possible. The Universe can be very literal. So, having a clear picture of what you want is essential. See the big picture, too. Does manifesting your desires affect more than yourself? Picture how it positively affects others once things come to fruition. Example: I want to bring in an extra $5000 so my daughter can get braces. I will SEE the money in my bank. I will specifically see the money in my savings account. My checking account money is all for bills, and I want extra money, so the difference is important. Next, I will see me taking her to get her braces. Then I will note her awkward smile after the braces are applied. I will even visualize her being miserable, eating soup that first night because her teeth hurt so badly. Flash forward two years, her braces are coming off, and she is smiling from ear to ear. That sight is simply amazing. I include as much detail as I can. How does it FEEL to have your desires manifest? How happy are you? Are you relieved? Excited? At peace? Does it free up time, energy, funds, to do other things? Get into that vibration of joy knowing that you manifested what you asked for. How incredibly exciting is that? It truly is amazing, and you should recognize that feeling. Example: I feel proud being able to write the check for my daughter’s braces. Her dad and I know what it’s like feeling self-conscious about an uneven smile people have made fun of before. I had braces in my late 30s, and it felt so fantastic to know the difference of a great smile, so I want her to feel that way, too. I feel excited when I am taking her to get them off! How exciting does that feel? After waiting two years, they are FINALLY coming off!!! I feel overjoyed when my daughter looks in the mirror for the first time and sees her beautiful smile. I can see she is happy and that makes me happy. Believe that this has already happened and is fact. You have placed your order, and the Universe is putting it together so, say thank you. Feel confident that it is being made to order RIGHT NOW. You must have faith. Faith is of the utmost importance when you are working magic and manifesting. There simply is no room for doubt. When you KNOW it is being delivered to you, you can be grateful for the wheels are already in motion. Example: Thank you so much God (dess)/Universe/etc. for bringing my desires to fruition and making it so. I am so grateful. And so it is. This can be one of the most challenging of the steps. Say you are in the drive-thru line at Starbucks and just ordered a Chai Latte. You can't actually receive it until you've moved forward. You have to take that last step, trust they are making it and then move forward so you can receive it. Manifesting is no different. If you are still desperately holding on and worrying over the situation, you don't have faith. If you can't let go and have faith, the Universe is not free to bring you what you desire. Hint-don’t be a control freak! Trust that the Universe knows what it is doing. Breathe and allow it to do the job you have asked of it. Example: A great way to do this is to write your spell or desires down on paper and then set them free by fire. If you feel you need to keep it as proof, then hide the paper away from yourself so you aren’t fretting over it. Then, if you want to check your results against your requests later, you can go back to it. Following these steps will make you a more successful manifestor. And that is what we all want, right?! More success? More prosperity, love, and joy? Of course, it is always a good reminder to use your powers for good - you know Karma and all that. There is no reason people shouldn’t be manifesting more magic into their lives. The magic of manifestation really can be boiled down into a simple format that most anyone can manage. See, Feel, Know and Release & Receive what you desire. You are in control of great power... go out and start using it today! 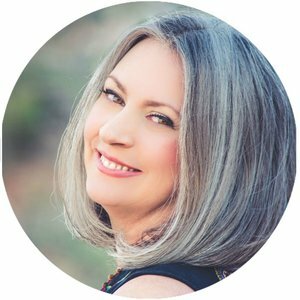 AUTHOR: Kim Galliher is an OSYL Spiritual Diva, Intuitive Medium, Energy Healer and Maker of Magick. Her purpose is to empower you, by helping you see the choices available to you and by creating strong magical tools that are available for you to manifest your intentions with passion. Find out more about Kim and her services HERE. Older PostAre you Living your Best Life?